Happy Christina knows how to steal hearts through her tenderness and innocence. 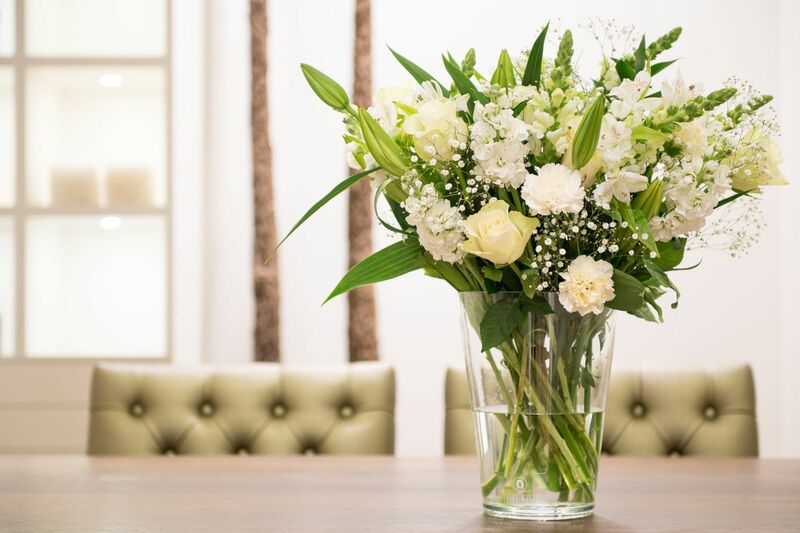 The various shades of white of the lilies, carnations, roses and the gypsophila form a tangible unity. Happy Christina is sincere and unaffected through and through. Thanks to its height and diameter of 50 cm a great gift.